I hope you have exciting plans for summer -- travel, beach, pool, hobbies, friends, family, and more. I also hope you plan to read this summer. Read for pleasure and read for growth. Specifically, read for spiritual growth. Read books that will feed your faith and prepare you for the future calling God has for you. 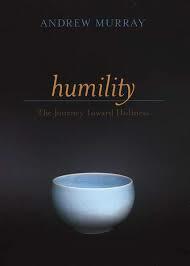 Let me offer a summer reading suggestion: Humility by Andrew Murray. It is only 64 pages, and it is easy to read. Andrew Murray (1828-1917) is one of my favorite authors, and this is one of his best books. I highly recommend it to you. Be challenged to die to self and live for Jesus Christ. Be inspired to live the selfless Christian life. What is God Looking For?